» Previous Article: Special Offer Extended: free hotel vouchers while they last! 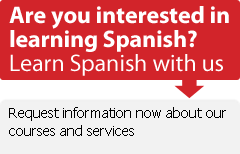 Learn Spanish and explore Spain! Other new videos include this video tour of our Spanish school in Barcelona. Wow, this sounds so interesting! I must see it!